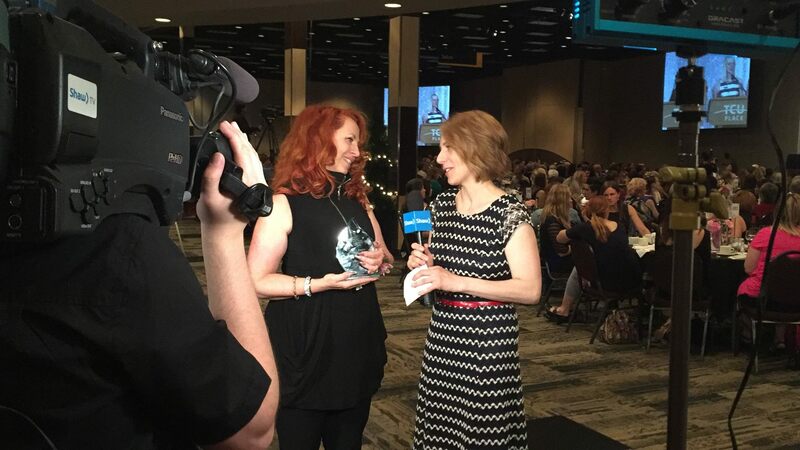 Shelley James, operating partner of Hairstyle Inn Salons, was honored on Wednesday, May 31, when she received the Community Builder Award at the Saskatoon YWCA Women of Distinction Awards®. 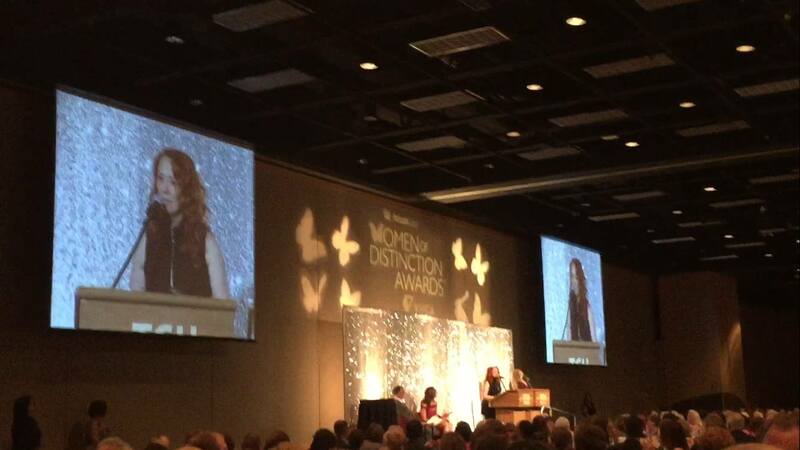 The Annual YWCA Women of Distinction Awards® are a celebration of the best in women’s achievements, across industry, culture and public service, honouring ordinary women for their extraordinary contributions to the Saskatoon community. Shelley has been involved in theatre, film, and TV for over 20 years, designing hair and wigs for Persephone Theatre, the U of S, Shakespeare on the Saskatchewan, Global TV, and numerous Broadway shows at TCU Place. One of her biggest and proudest accomplishments, however, is her charity TLC@Home. Founded 11 years ago, TLC@Home’s mission is to provide children from inner-city neighborhoods in our own community with Christmas cheer. Last year, TLC@Home reached 996 school children in core neighbourhoods with a personal gift box of necessities and treasures to share the joy of Christmas. It has been an exciting year for Shelley and her endeavors with TLC@Home. 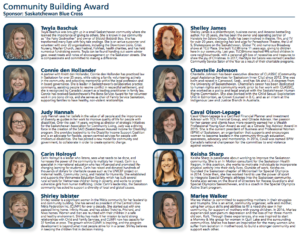 Shelley, on behalf of Hairstyle Inn Salons team, received the John Steinberg Award naming HairStyle Salons Canadian Community Service Salon of the year at the Contessa Awards in Toronto. 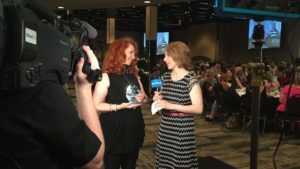 The Canadian Hairstylist of the Year Awards – the Contessas – are the gold standard in Canadian beauty industry awards with the longest-running track record of excellence. Since 1988, each year the Contessas bring the best of Canada’s talent together to measure their creativity in a photo-based competition. The John Steinberg Award is about using your salon and business exposure to become involved in a charity event that holds a special place in your heart. 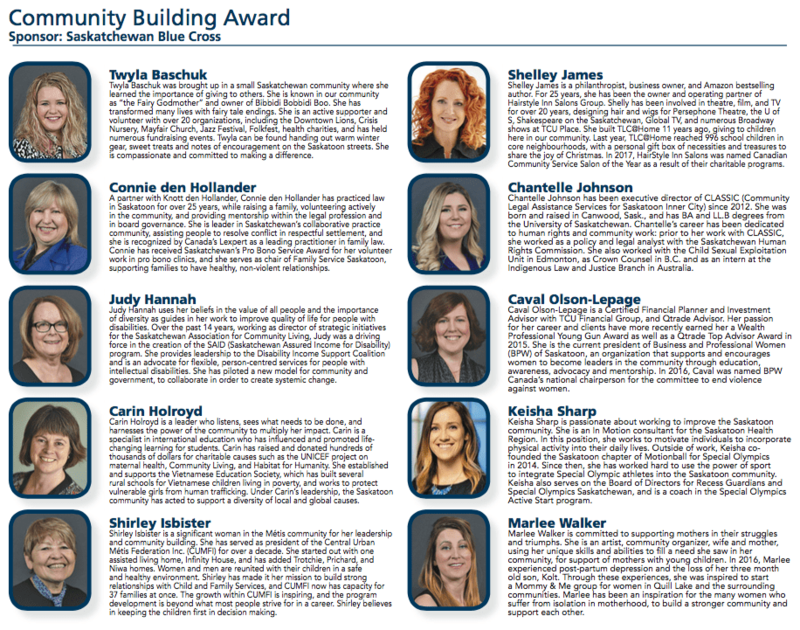 It was a touching moment for Shelley and the team to be recognized on a national scale for the work she does in her local community. Furthermore, Shelley and the HairStyle Inn Salons team were a proud nominee at this year’s North Saskatoon Business Association’s Business Builder Awards. Shelley and her TLC@Home partners, Cameco, Global Saskatoon, CruzFM and TrustedSaskatoon.com were surrounded in a category of inspiring, influential and motivating individuals. It is an honor all in itself just to stand beside so many incredible people who seek to evoke change in their own community. Hairstyle Inn Salons are eager to see what this year brings for Shelley and TLC@Home. With each year the charity continues to grow, touching the lives of more-and-more deserving children who might not otherwise experience the true magic of Christmas. With the final days approaching before the delivery of the gift boxes TLC@Home has been busily putting together for our local inner city schools, Global Saskatoon stopped by the Hairstyle Inn Centre location to interview Laddie James, owner, and Alysun Pasveer, GM, of the salon about their experiences, history and involvement with the charity. The interview will air on Global Saskatoon on December 2nd. The Salon was all abuzz this morning with the cameras and lights rigged up! We’re honored to be partnered with such an amazing charity. Check out a few behind the scenes photos we snapped of the action. TLC @ Home is a Christmas gift box that goes out to the children at participating schools in Saskatoon. Each box is packed full of treasures and love with the child’s first name on the box. TLC @ Home’s mission is to touch the life of a child in such a way as to love, care for, inspire, motivate and give hope of opportunities by which they can improve their life and those around them. The Hairstyle Inn team had a desire to contribute to the community in which we work and live; so, in 2006, the inception of TLC @ Home was born. Our program has been able to provide a gift box to children at participating schools in Saskatoon. In the first year, we started with a few classes of Princess Alexander School and have continued to grow the number of children we reach each year! In 2014, with the help of our community partners, – Global TV, Cameco, and Cruz FM – we reached five schools with gift boxes for 800 children. We are excited with the growth of our program and are looking to add even more schools and reach more children this year! We would be delighted with anyone willing to contribute to the TLC @ Home program! Contributions of all types are appreciated, whether they are gift box items, monetary gifts, or the gift of your time. All contributions go to the children of TLC @ Home and can be dropped off at any of our Hairstyle Inn locations. Items can be dropped off at any of our Hairstyle Inn locations. If you wish to wrap your gift box, please wrap the box in Christmas paper with the lid wrapped separate so that it can be opened to add sponsor items. Place a post-it-note on the lid with the gender and age of the child you have packed the gift for.